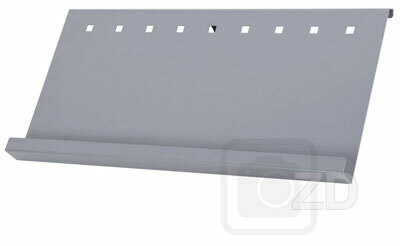 The Brochure Shelf is designed for Info Pole large. It is made of steel. 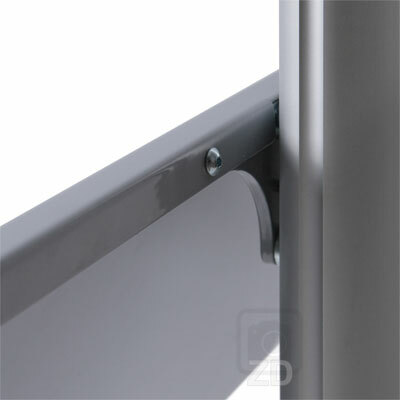 The Brochure Shelf is attached to the sign stand pole with easy to use connector that slides into the channel of the pole from the top. 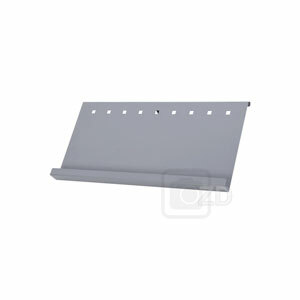 This brochure holder is designed for three stacks of 8.5'' x 11'' size brochures and flyers presented side by side. It also works well with trifold and half page size brochures as well. Front and back for the metal Brochure Shelf. Brochure shelves mounted on one or two sides of the pole. The pole can support multiple brochure shelves, on either side.